Below are some images and words that barely encompass the wonderful group travel trip we shared together. 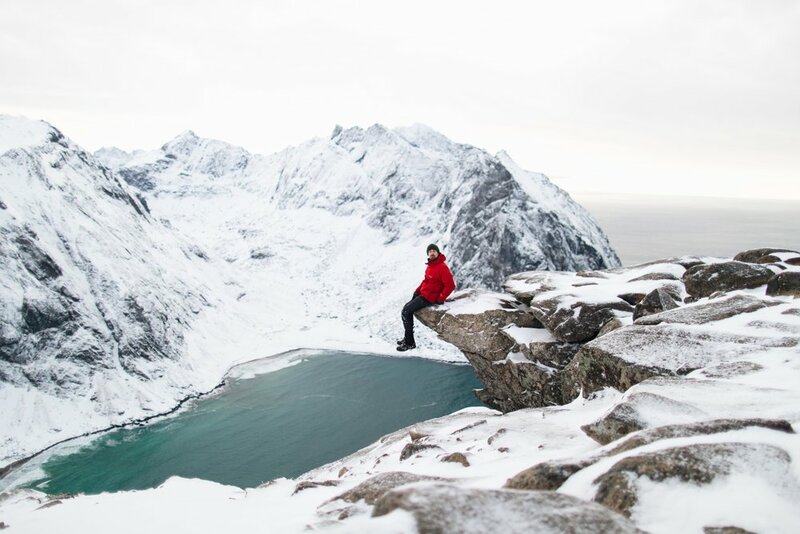 In February of 2018, Moment Travel, a mobile photography, and travel company set sail to the Lofoten Islands with 7 adventure-hungry participants, 1 photo guide, 1 local vendor, and 1 fantastic driver. 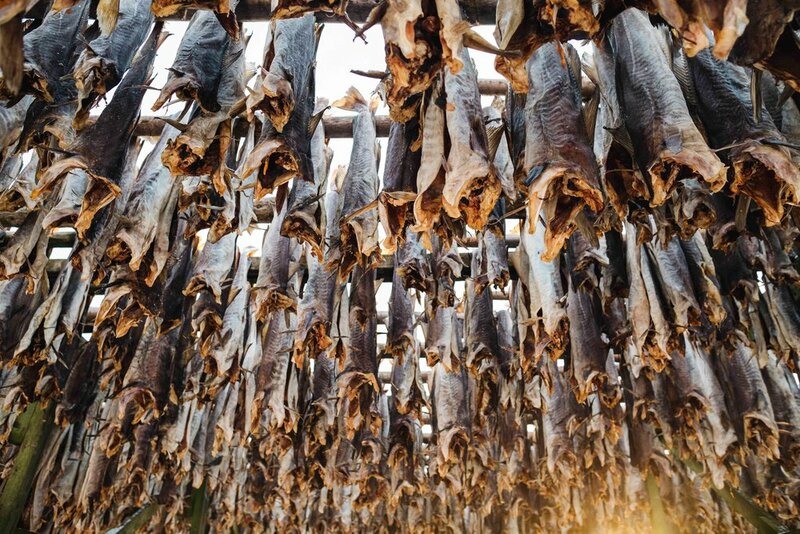 Each individual participant was responsible for bringing their own photography/filmmaking gear in hopes of capturing the sheltered bays, sheep pastures, and picturesque villages that encompass Norway's infamous archipelago. Our photo guide, Max Chesnut, prosed an exceptional quality of enthusiasm when teaching the participants about Lofoten's unescaping beauty. He styled shots and handcrafted an itinerary to photograph along the E10 road, which runs along the islands from tip to toe. 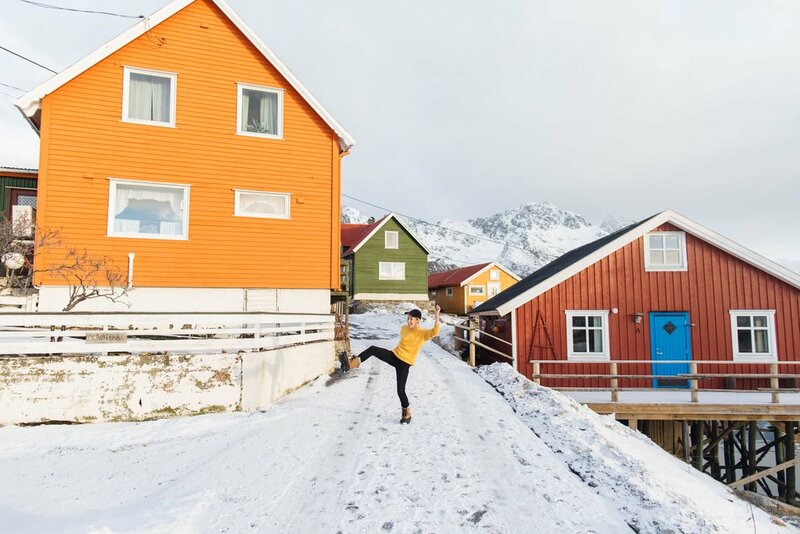 In the Lofoten Islands, the mid-winter sunlight provides 7 uninterrupted hours of awe-inspiring golden light that will keep your memory cards constantly full and your mind totally blown. Norway’s landscape holds true to the historic postcards you see on your favorite photographers’ Instagram feeds — it’s gorgeous, vast, and untouched. With sweeping mountain backdrops and stunning little red houses that make for the perfect subject, you can’t help but gasp and sigh at every corner. Lofoten is a real head-turner. There’s something special about traveling with 11 other strangers in a foreign country, no? You get to meet people from around the world and get to know them over nightly dinners and theatrical experiences — something you can never receive from the comfort of your home town. The friendships you’ll make are lovely, kind, and no doubt long-lasting.